During BC Culture Days, explore North Vancouver’s 2014 public art installations! 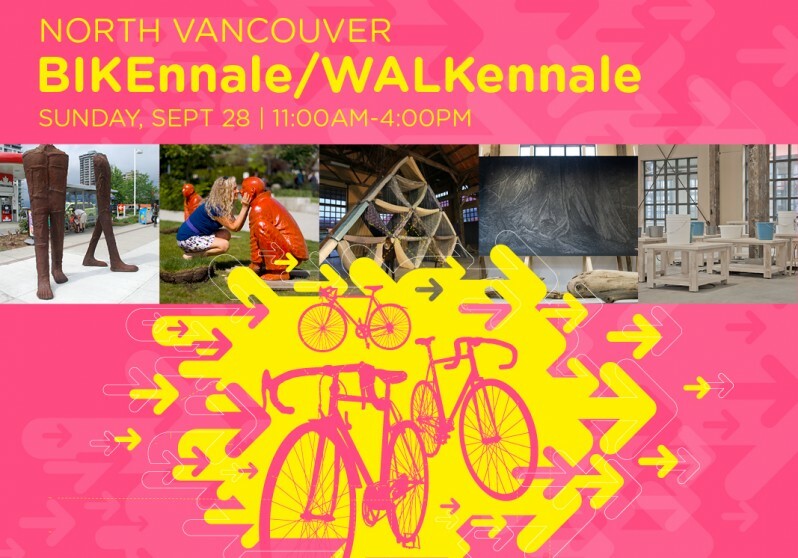 Pack your camera, grab your kids, and get ready for the BIKEnnale/WALKennale, a mobile-enabled tour of the Open Air Museum. On Sunday only, our trained docents will be stationed at the Vancouver Biennale’s newest installations to help you explore museum-calibre artworks in our three partnering cities. You’ve got the art guide in your pocket!